2) the presence of multiple coronary risk factors. 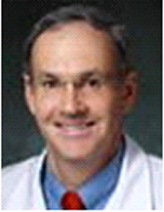 Dr. Blumenthal was the principal developer of the Johns Hopkins Ciccarone Center for the Prevention of Heart Disease, and he is the Director of Preventive Cardiology at Johns Hopkins. He is a member of the official national spokesperson panel for the American Heart Association (A.H.A.). Dr. Blumenthal is co-chair of the Prevention Subcommittee and was also chairman for four years of the American College of Cardiology (ACC) Committee for the prevention of cardiovascular disease. His co-chair role of the ACC/AHA Guideline Committee is updating the blood pressure, cholesterol, lifestyle and risk assessment guidelines.